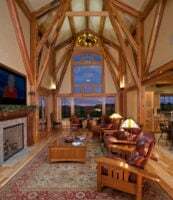 Dreaming Creek is dedicated and committed to preserving the ancient craft of timber framing. 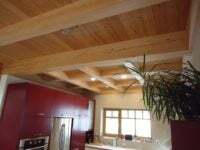 Whether you_苒re an architect, contractor, builder or homeowner, you can rely on Dreaming Creek for custom designed architectural timber frames, trusses or expansive glulams beams. Dreaming Creek’s experienced craftsman and designers offer you the finest timbering created in our own sawmills and beamery. Since our beginnings in 1975, we have insisted on the highest quality in materials and craftsmanship for our residential and commercial clients. Call us today toll free (866.598.4328) and start the process of making your dreams a reality. Insist on the best… demand Dreaming Creek!